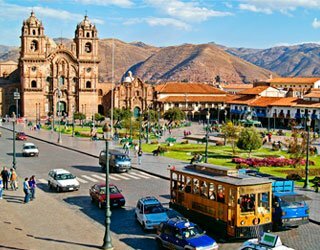 At according time transfer from the hotel to the airport to take your flight to Cusco. At your arrival assistance and transfer to your hotel in Cusco.Admire the wonderful pre-Hispanic and colonial legacy of Cusco, an interesting journey where you will learn about the Temple of the Sun “Koricancha”, ancient place of worship to the Sun God of the Incas where the convent of Santo Domingo was located, admire the beauty of the Main Square of Cusco and observe the most known sculptures and paintings in Cuzcanian Art inside the cathedral. Continuing the city suburbs we will visit the Inca complexes of Kenko, Tambomachay, Puca Pucara and the impressive Sacsayhuaman Fortress, strategically built on a hill overlooking Cusco, famous for its huge stones of its external walls, cut and assembled with stunning precision. 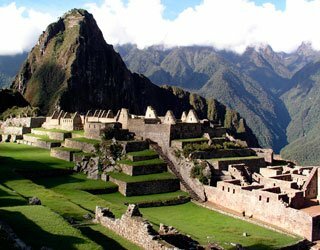 Day at leisure to make activities of your interest.Accommodation in Cusco. 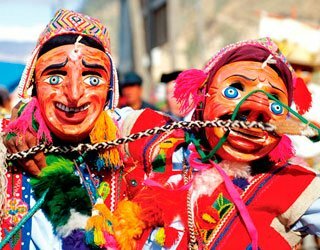 Paucartambo: A small town east of Cusco on the way to the Manu National Park; famous for its great festival in honor of Carmen Virgin. The feast consists on many customs and dances performed by many dancers that look stunning colorful costumes.At midday departure from Cusco to Paucartambo on a journey of about 4 hours. Upon arrival you will be installed on shared hosting and have a chance to visit around the city. 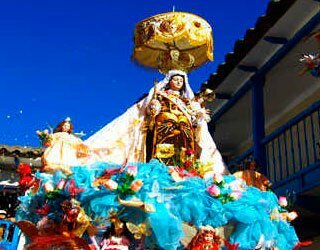 At night begins the serenade in honor of “Virgen del Carmen”. You will start enjoying the excitement of this event. At midnight (1:30 a.m approx) we meet to start the tour of “Tres Cruces” where you will see the sunrise, the only place in South America where you can see this beautiful natural spectacle from a blanket of clouds at 3739 masl; the meeting point between the Andes and the Amazon. A colorful sky that is manifested at this time of the year.Later in the morning return to Paucartambo to rest and take breakfast (by your own). 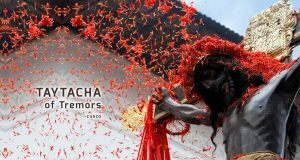 Then you will visit the Temple of “Virgen del Carmen” and Carlos III Bridge from where you can enjoy the dances. In the afternoon the procession of Carmen Virgin starts and here you can also appreciate the dances and the skill of all the dancers. By late afternoon return to the host to pick up your belongings and board the bus that will take you back to Cusco. Upon arrival assistance and transfer to the hotel.